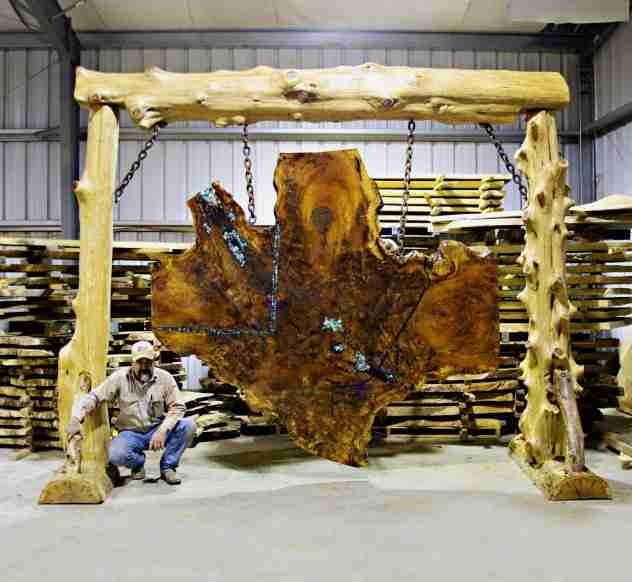 Live edge cross cut slab salvaged from the largest Oak tree in Oklahoma. 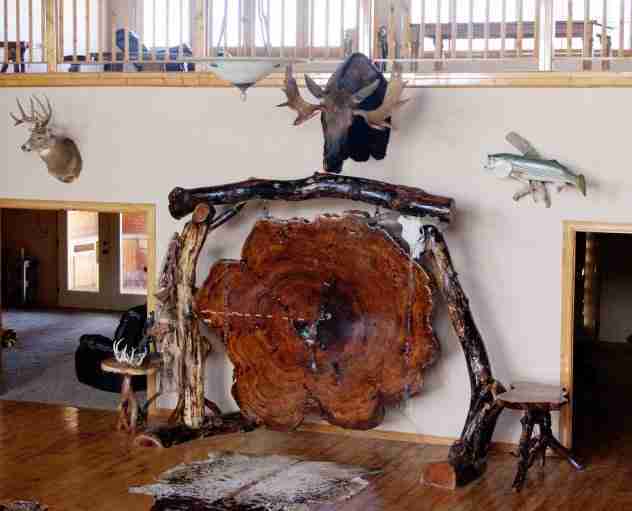 This particular cross cut measures 7'6" x 8'6" across and has the Chisholm Trail burnt into it and is hung from a Cedar rack. 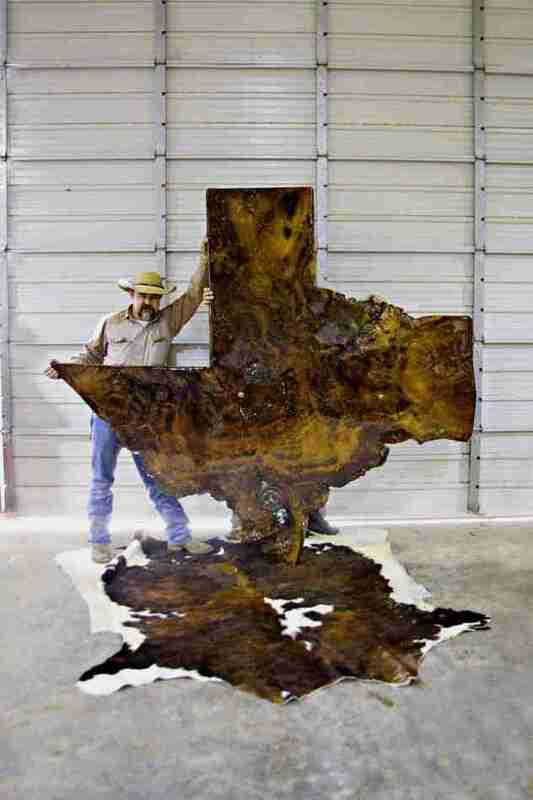 This slab has live edges on all sides and forms the state of Texas, making this a very unique piece of art.